There’s some things that time can’t improve upon. 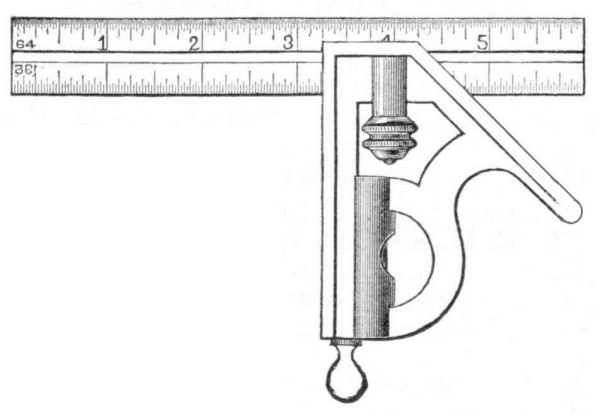 The basic concept of a square tool is one of them. They still sell tools that look like this one that was being advertised in 1887. This one was a bit fancier because it had a sliding blade that could mitre faces, level and scribe. The manufacturer suggested that it could be a grand substitute for a whole set of tools. Me, I’m a crooked line sort of gal. Can’t draw a straight line more than an inch or so long to save my life. This tool and other square tools make that possible. Align the guide along the edge of your project and a perfect straight line is your’s for the taking.